QUICK JUMP: Contestants Pageant Information How to compete in Miss West Coast 2019? 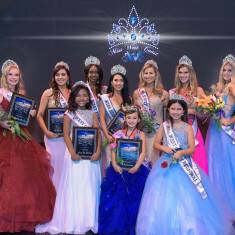 Check out videos & photos at www.misswestcoastpageant.com Miss West Coast supports Operation Blankets of Love which is an animal rescue service and helps homeless animals find homes. Portion of the proceeds is donated to OBOL and Susan G Komen Breast Cancer Awareness. Come be a part of an exciting red carpet pageant production!